Discovery College is an authorized International Baccalaureate Middle Years Programme (MYP) School. The MYP offers a philosophy and a curriculum framework to meet the needs of 11 to 16 year-old students. It aims to combine the best research and practice from a range of national systems and the knowledge and experiences of international schools. It recognises the unique developmental characteristics of early adolescence, which is marked by significant physical, intellectual, emotional and moral growth and change. In recognition of this, the MYP seeks to facilitate learning experiences that are authentic, holistic, relevant, engaging and build a healthy sense of self. 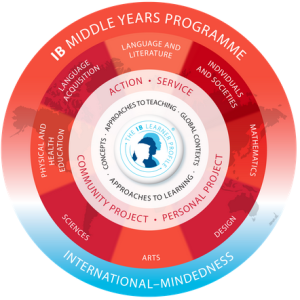 International-mindedness is woven through the fabric of the programme’s framework and is expressed through the IB learner profile. Through studying MYP subject knowledge, concepts and skills, students will also develop a broad suite of Approaches to Learning (ATL) skills. Global Contexts is the MYP’s framework for organising the curriculum’s content and skills with deep conceptual understanding. Conceptual understandings of taught content help students transfer ideas across topic areas and traditional subject boundaries. The Global Contexts build upon the knowledge and thinking skills developed through the PYP’s transdisciplinary themes. Meeting the school’s Community Engagement requirements. Click here for more information on Community Engagement at Discovery College. The MYP completion award will carry the endorsement of the ESF, Discovery College and the Council of International Schools – Western Association of Schools and Colleges (WIS-WASC). Students who have completed the Personal Project and satisfied the school’s Community Engagement requirements will also receive formal recognition from the IB in the form of a single document which contains the IB-issued Personal Project grade and a statement indication that Community Engagement requirements have been met. 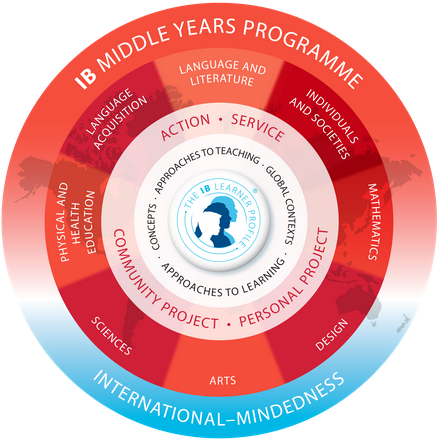 In October, Year 11 students who are completing the MYP Personal Project will be registered with the IB. The IB uses these details on all official MYP and Diploma documentation. Student names, nationality and language backgrounds will be based on family information in the Gateway. If these information needs to amended for formal IB-issued documentation, please do so at your earliest convenience. MYP students in Years 10 and 11 are provided with options within the Arts Group and Design subject areas. These options allow students to choose to specialise in the areas of greatest interest to them within these two subject groups. Refer to the presentation below for details on these options and the process for making these selections.